Juniors who wish to join in any of the camps should fill out the application form and return it along with payment to WI TENNIS. A maximum of 24 players will be excepted for each camp. Once you have submitted an application, you may assume you have been accepted. However, we will contact you if the camp is full and your application fee will be returned. 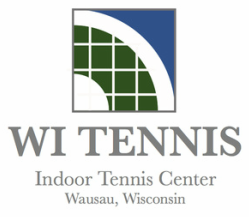 Bad weather days the camps will be moved to WI TENNIS Indoor Tennis Center located at 928 McDonald Street. Please be sure to contact the Camp Director Paul Bailey at (715) 551-9816 if any updates. Players are reminded to arrive at the camp 5-10 minutes before the start of each camp , so that we can get started on time. Players should bring water or refreshments with them each day, as the weather can get extremely hot in the summer. We look forward to seeing you all at our camps this summer.